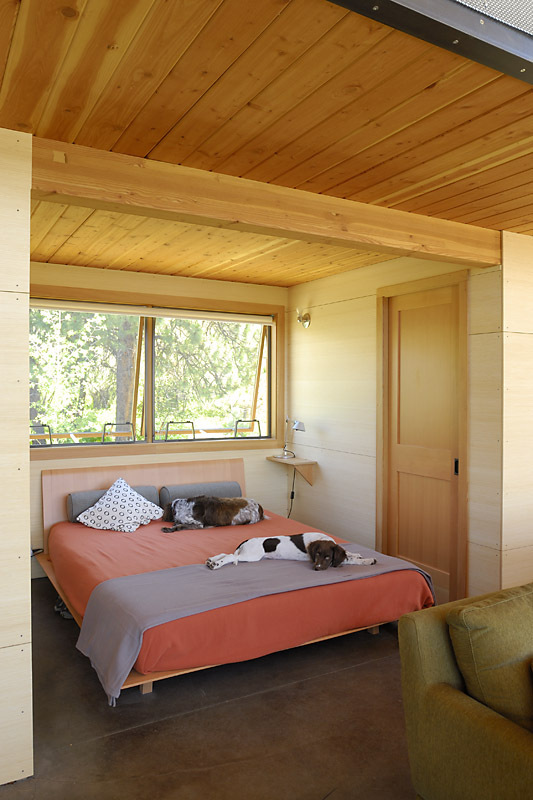 This small in size but large in spirit cabin sits high on a bench above the Methow River in Eastern Washington. 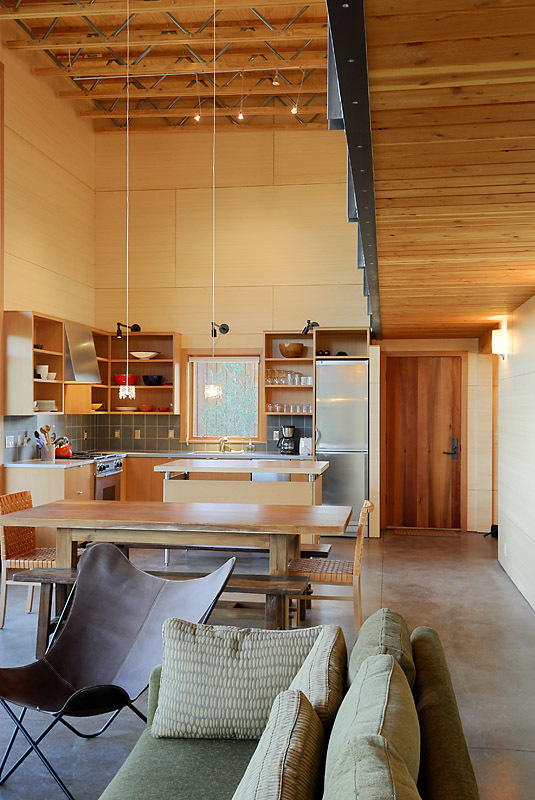 The goal was to have a small footprint, only 860 sf, and architecturally explore the possibilities of a simple box. 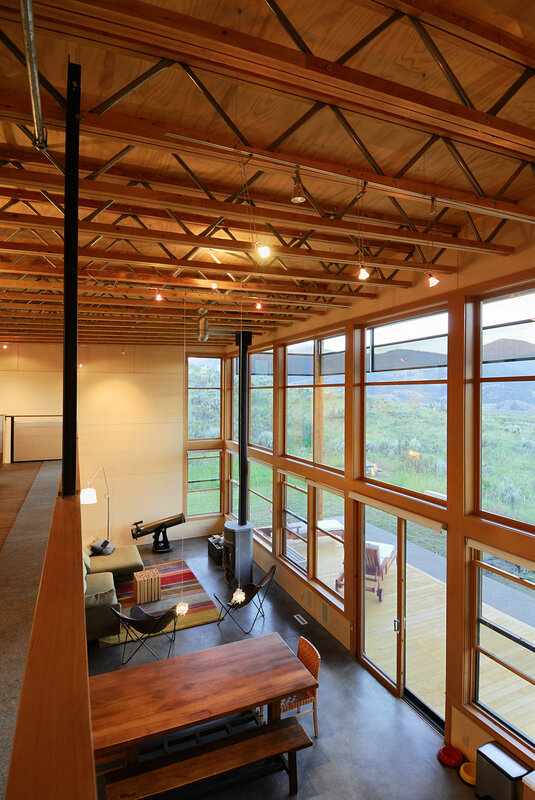 The windows on the west side are 15 feet tall to let in the view of the sky, valley, river and Cascade Mountains, with a large roof overhang protecting the house from the intensity of the sun. 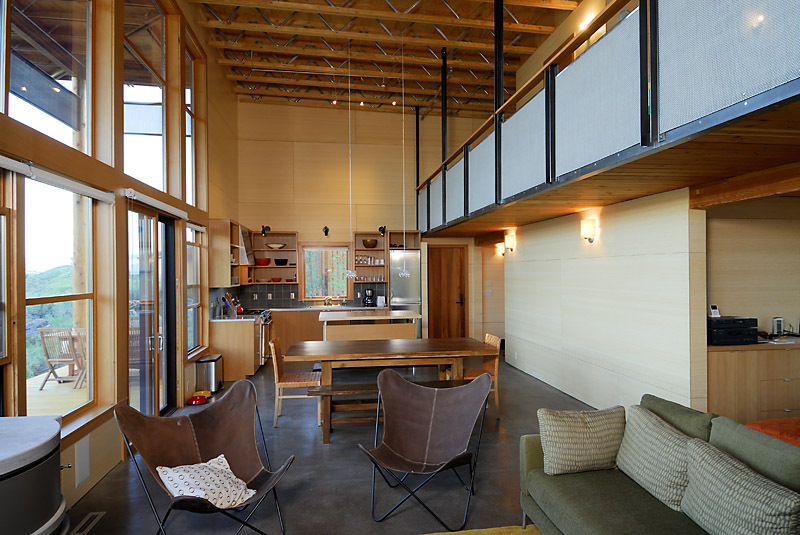 The lofted interior allows for both the intimacy of its upstairs bedrooms and the openness of its lower gathering space. This house is all about contrasts: between the grand columns and a small footprint; between intimate spaces and expansive ones; between materials that are sleek and ones that are rough. A few whimsical touches, like the tiny crystal chandeliers, keep the experiences of the environment fresh.